Photos from Vancouver Island show two symbolic birds facing off in an ultimate battle of national ornithological pride. 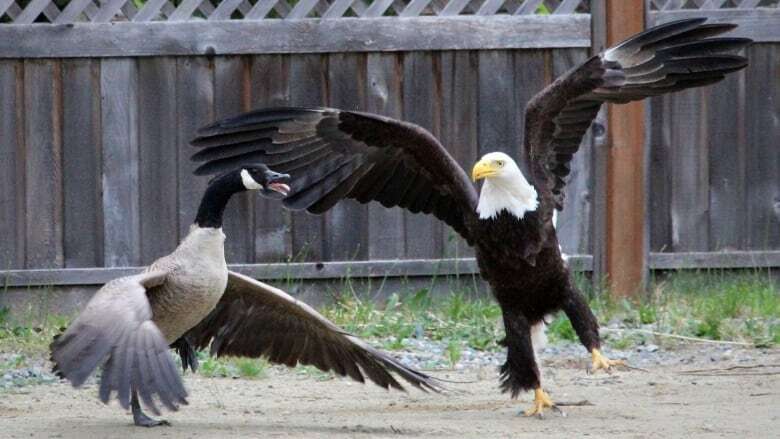 Want to see an American bald eagle fight a Canada goose? We thought so. What's true in the world of sports stands true for the animal kingdom as well, it seems: Rivalries are always moreintensebetween neighbours. 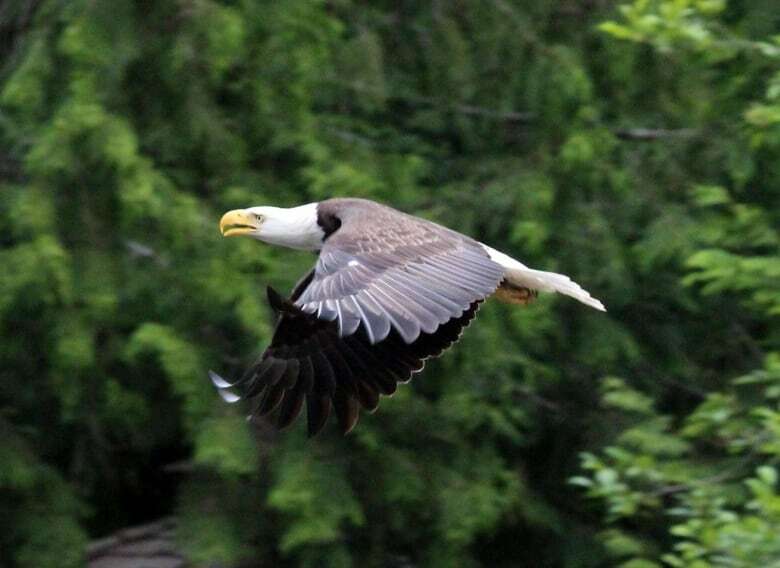 Vancouver Island played host to a metaphorical match-up between Canada and its good friend the United States on Friday when, without so much as a tweet to promote the fight, two iconic birds went wing-to-wing. Fortunately for the people of both countries, local photographer (and sole spectator) Lisa Bell stumbled upon the scuffle — with her camera. The battle of the birds began just after 7 a.m. local time on Friday, according to Bell's post in the Vancouver Island Images Facebook group. In a post about the "once in a lifetime experience" Bell told fellow group members she had the glory of witnessing nature at its best and capturing it all in her lens. She later told CTV Vancouver Island that the photos were taken at Spider Lake Springs, near Qualicum Beach, where her family was vacationing. "There was a whole bunch of noise to begin with," she said. 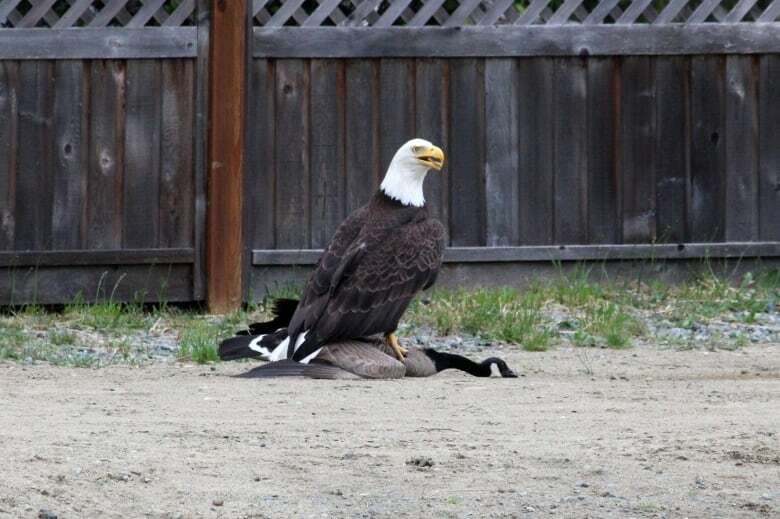 "The eagle was sitting on the goose. I scooted to get my camera, and when I came back down he was still there. The goose basically was playing dead." 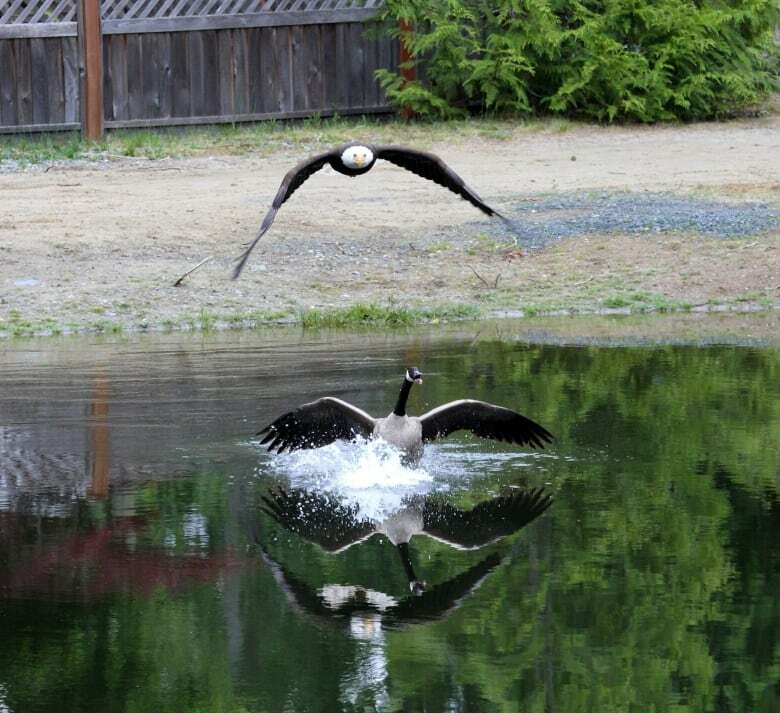 As Bell's photos show, the goose had some fight in it — enough to avoid becoming an eagle's lunch on Friday, at least. "Nature is not all glory all the time," the photographer noted on Facebook. "Today we had a happy ending to the tale of a goose freeing itself from a hungry Eagle's talons. [It] might not be so lucky next time." 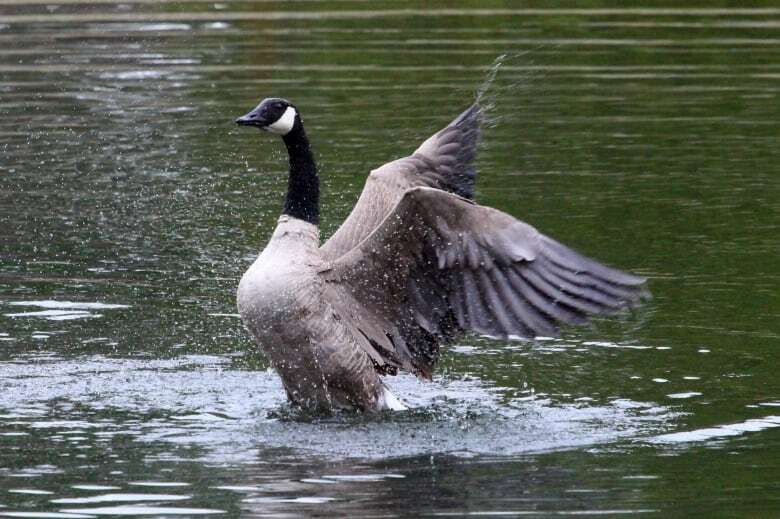 While she did say she noticed some claw marks on the Canada goose's back, when she left it was still "swimming around in the pond" and appeared "proud to have gotten away." 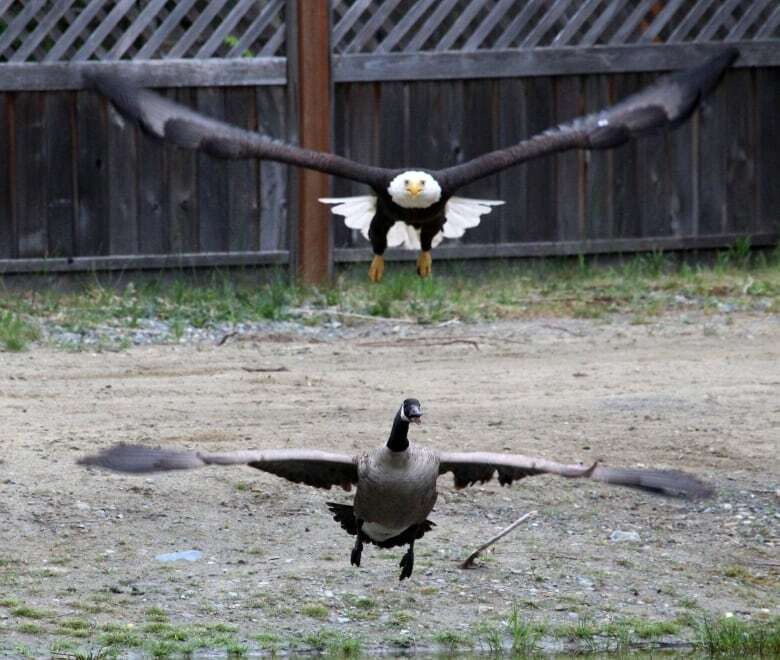 Given that bald eagles have seen snatching everything from pet cats to small dogs and even drones, it could be argued that the (less dangerous) goose emerged victorious just by surviving. 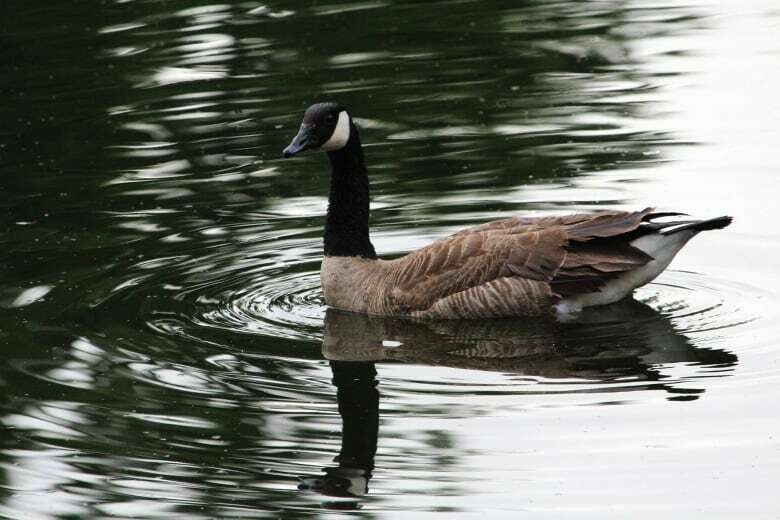 Geese can, in fact, be found in every single U.S. state and Canadian province at one point throughout the year, while bald eagles are more abundant in parts of Canada at times than anywhere in the U.S. except for Alaska. Furthermore, the Canada goose is not Canada's national animal. That honour goes to the beaver and our national bird has yet to be determined. Bald eagles are still the national bird and national animal of the U.S., but this may prove contentious should Trump win the presidential election in November. Bell's full photo series can be viewed now on the Vancouver Island Images Facebook page. 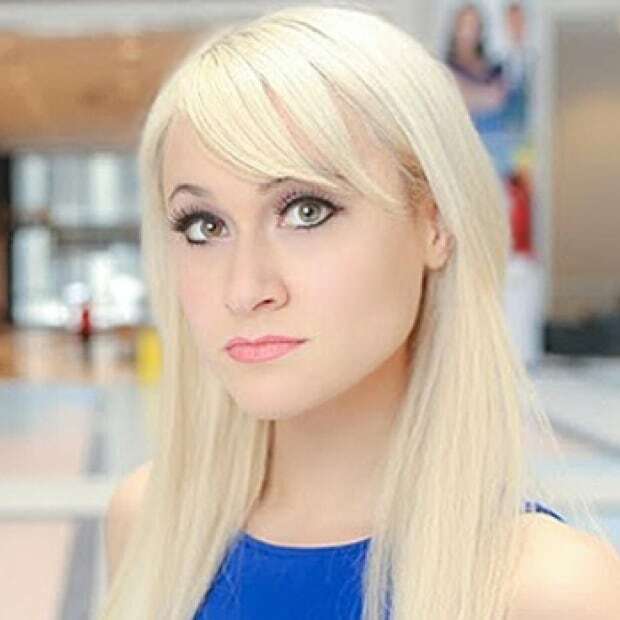 Lauren O'Neil covers internet culture, digital trends and the social media beat for CBC News. You can get in touch with her on Twitter at @laurenonizzle.